Judge Hughes retired from the Circuit Court of the City of Richmond with over 33 years of judicial experience. 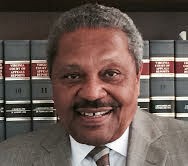 First serving as a Judge of the General District Court, Manchester Division, he joined the Circuit Bench in 1984. On the Circuit Court, Judge Hughes heard only civil cases. He was well known for his depth of experience in Virginia law, Virginia procedure and evidence. Judge Hughes had presided over thousands of jury trials, including personal injury, business, commercial, and medical malpractice. The Chief Justice appointed Judge Hughes to the Committee on Virginia Model Jury Instructions which updates jury instructions as new cases are decided each year. Before his election to the bench, Judge Hughes was in private practice specializing in personal injury and domestic relations. He was a founding member of the Richmond firm of Chambliss, Cunningham, Hughes and Macbeth. In addition to mediating and sitting by designation, Judge Hughes enjoys his cattle farm in Palmyra.